The Green Mountains of Vermont are a very special place, rich with beauty and wonder, and the stories of the families who have worked the land to create pure Vermont products, like the maple syrup produced at Baird Farm. Baird Farm has been family-run since 1918, when Sarah Baird and her husband, Ralph, bought the farm from her sister, Nora. Sarah loved hosting people, and eventually turned the farmhouse into a bed and breakfast. She made her own maple syrup on the farm, tapping maple trees with buckets while her husband milked the cows. “When my father was just a little boy, he worked alongside Sarah in the sugarbush and sugarhouse and learned the ways of sugaring at a very early age,” says Jenna Baird, great-granddaughter of Ralph and Sarah, and daughter of Bob and Bonnie Baird, who own the farm today. The property remained an active dairy farm until 1996, when Jenna’s parents sold the milking herd. Since then, maple syrup has been the farm’s primary crop. The Baird family taps around 10,000 trees contained within the 150-acre sugarbush. These days, they use a modern pipeline and vacuum system that runs through the sugar woods, helping to gather the thousands of gallons of sap collected each season. Jenna says her family takes great pride in their business, and they want people to have a memorable experience here. They offer tours by appointment, but often allow visitors to walk the property and peek into the sugarhouse, sharing knowledge about the great Vermont tradition of maple sugaring. If you happen to stop by in March, you’ll likely see the sugaring in action. When the Bairds are boiling the sap and making syrup, visitors can view the sap flowing from the pipelines into large gathering tanks, watch the syrup be drawn straight from the evaporator, and even sample a taste. In the summer and fall, you’ll see dairy replacement heifers grazing in the fields, with a backdrop of a thousand maple trees. The Bairds work hard to be stewards of the land and maintain the beautiful property with pride and care. The working farm gives customers the opportunity to talk to the producer and learn about where their food comes from. “When someone buys our syrup they are supporting a small, local, and family business that has been making maple syrup on our farm for generations,” Jenna says. 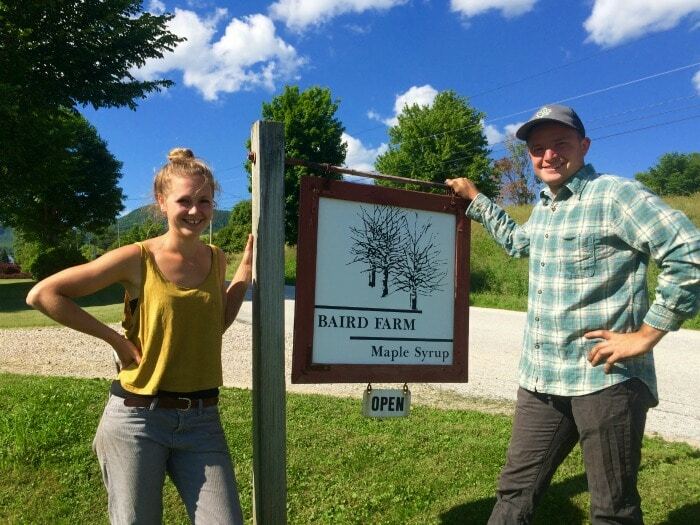 At the farm, the Bairds sell all four grades of maple syrup, which can be difficult to find at your average store. Visitors enjoy being able to sample each grade and find the one they like best. Lucky for you, the Baird Farm tasting and sales room is open year round. Every March during the sugaring season, the farm hosts Maple Open House Weekend, a fun event for visitors. People come from far and wide to see the sugaring operation at work. As the fourth generation on the farm, Jenna and her partner, Jacob, hope to instill their ideas into the operation, expanding their market locally, as well as through internet sales across the country. So you can get your syrup here … then order more when you run out at home. Discover why life is sweet at Baird Farm. 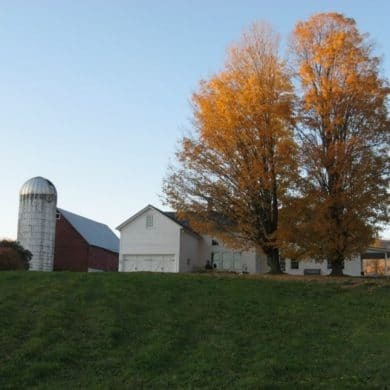 Baird Farm is located at 65 West Road in North Chittenden VT. For more information, please visit the Baird Farm website or call (802) 483-2963.